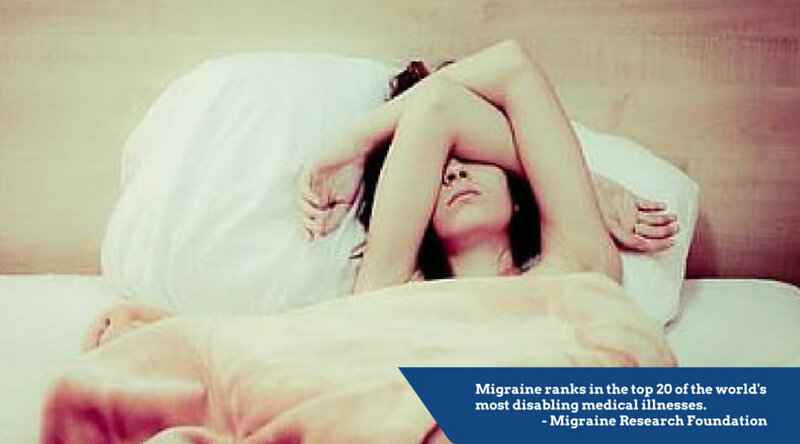 Migraine sufferers are more likely to have depression, anxiety, sleep disorders, other pain conditions and fatigue. There are numerous types of headaches, with pain levels and treatment varying depending on the classification. Perhaps the type of headache most commonly cited as the cause of severe pain and a multitude of other unpleasant symptoms is the migraine headache. However, not every “bad” headache is a migraine. It’s estimated that more than 20 million Americans suffer from headaches, ranging from mild tension headaches to full-blown migraines. Tension type and migraine headaches are the most common, and most headaches are considered “daily” or chronic if they occur at least 15 days per month. 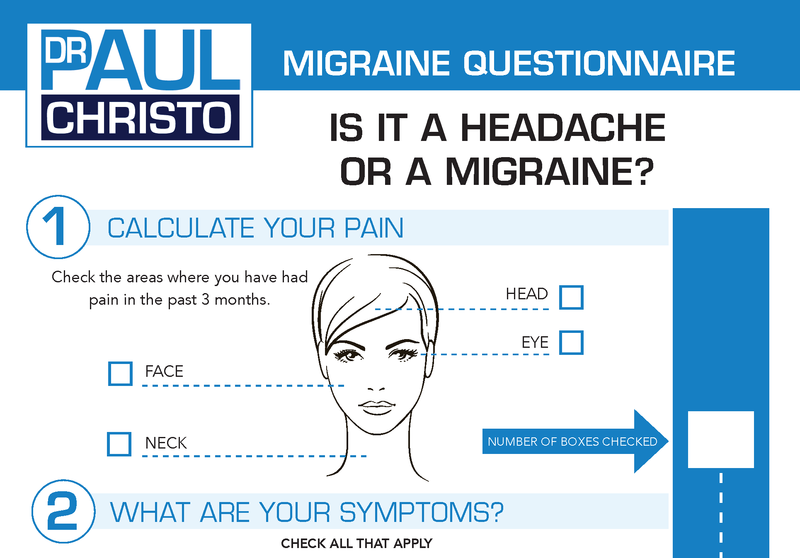 In light of June being Migraine and Headache Awareness Month, we are sharing information on this debilitating condition and how to identify the symptoms associated with head pain. Among those statistics are actors Lisa Kudrow, Ben Affleck, Marcia Cross, Kristin Chenoweth, tennis star Serena Williams and many other celebrities who have shared their migraine stories with the press. These celebrities demonstrate that migraines can affect people from all walks of life; that these headaches have the potential to negatively impact the lives of those who suffer from them in a very significant way. Migraines affect three times more women than men, probably because the headaches have a strong hormonal influence. The World Health Organization places migraine as one of the 20 most disabling medical illnesses on the planet, and The American Migraine Foundation states on their website that those with migraines are more likely to have depression, anxiety, sleep disorders, other pain conditions and fatigue. How can those experiencing head pain distinguish one headache type from another in order to determine the best course of treatment? Everyday headaches can be triggered by any number of common causes: allergies, stress, fatigue, dehydration, or caffeine withdrawal for example. Regular headaches can often be treated by getting adequate rest, drinking more liquids, avoiding certain foods. These headaches often present as pressure or tightness around the head, and the intensity waxes and wanes. It’s typically non pulsating and not worsened by routine physical activity like walking or climbing stairs. When experiencing a migraine, patients often feel as though someone turned up their hearing aid too high or forced them to wear night vision goggles in broad daylight, and this causes intense pain and nausea. Some people are just born with a tendency to get migraines or cluster headaches, and certain stimuli can provoke the pain system to go haywire. I recently spoke with Men’s Health about the intense pain that accompanies cluster headaches, which typically affect more men than women, unlike migraines. Light, sound, certain foods or additives can spark unbearable pain that may last anywhere from four hours to several days. Migraine headaches can be one-sided, pulsating, pounding, and be aggravated by routine physical activity. The onset is usually gradual, and then builds until it peaks, and then subsides. During the headache, patients may also experience nausea/vomiting, or photophobia (light sensitivity), or phonophobia (sound sensitivity). Migraine with aura is a neurological phenomenon that accompanies or precedes a migraine attack. It can leads to the sufferer’s vision being temporarily compromised or otherwise altered, for example. The manifestation of an aura can vary from seeing black spots or small sparkles to feeling pins and needles in the hand, arm, face, or tongue. Less common are feelings of weakness or imbalance. A headache that is associated with some neurological deficit, like weakness or paralysis. A headache that leads to an increase in pressure inside the head (increased intracranial pressure). A headache that occurs with position (worse when lying down or standing up, coughing, straining). A headache that wakes you up. Each week on Aches and Gains radio show, I outline a new pain source, what causes it, who can be affected, and most importantly, how it can be treated or managed. Visit the radio show page for a complete list of podcasts for past episodes. Aches and Gains airs every Saturday at 5 p.m. and 5:30 p.m. on SiriusXM Family Talk Radio Channel 131, with podcasts available after the show. Posted in Blog, Disease, In the News, Psychological Pain, Top Pain Reliefs and tagged Aches and Gains Radio Show, celebrities with pain, Cluster Headaches, headaches, Migraine and Headache Awareness Month, Migraine triggers, migraines.